Over the last 10 years, picturebook studio owner Jonny Regan has worked both in front of and behind the camera. As an actor and presenter, his love of the creative arts led him back to his training in photography. Having a wealth of knowledge within the media industry and armed with his artistic creative talents, he decided to set up this unique photography experience to create affordable, high end photographic works of art for his clients. Originally specialising in actors and presenters headshots, he found himself gradually heading towards all aspects of lifestyle photography and portraiture. Due to the sheer demand that quickly arose for his services, he decided to set up the picturebook studio ltd and share his creative talents with everyone. 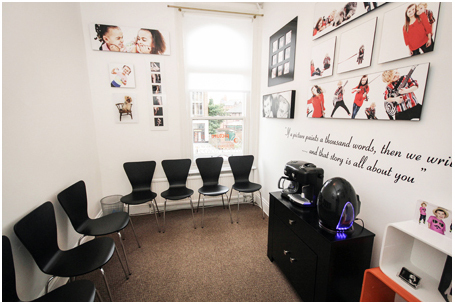 Our studios are situated above Poppys Hair Salon on Victoria Road in Hartlepool Town Centre, with ample parking located just off York Road. Our packages start from just £150 and we tailor our photo shoots entirely to suit you, giving you an enjoyable and fun filled experience with results you will cherish for the rest of your life! We specialise in actors headshots, model portfolios, family portraits, kids, babies and baby bumps, pets, boudoir shoots, pre wedding shoots, bridal shoots, hen night shoots, prom shoots, girls night out shoots, publicity shoots and event photography. Stage 1 - The Photo Shoot Experience! The writing of your story is a fun filled, memorable experience. 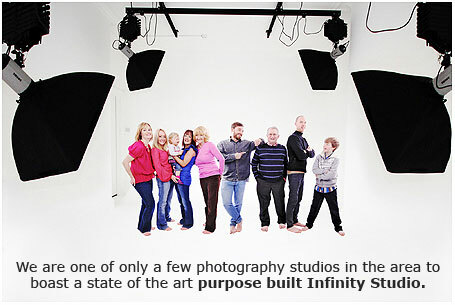 It begins with a one hour picturebook studio photoshoot in our state of the art Infinty Studio in Hartlepool, Teesside. The shoot is one hour of pure family fun time as there are no games consoles or TV's to distract the kids. You'll all enjoy yourselves so much that you won't even notice our photographers snapping away capturing those magical moments. Stage 2 - Now It's Time To Pick Your Favourites! Photo shoot over, you will then be emailed your own username and password which allows you to view your very own online viewing gallery of all of the stunning pictures we've taken during your shoot. Here you pick out your 20 favourite pictures then our digital artists retouch and airbrush your pictures giving them that unique picturebook studio look, ready for you to view. Stage 3 - How Do My Pictures Look? You'll find out a few days later when you are invited back in to the studio projection room, where you’ll be treat to a preview of a stunning dvd video montage accompanied by music that we create especially for you. You will also get the opportunity to see your images in our unique Virtual Gallery where we transform your pictures in to real wall art displays which we super impose on to a real living room wall giving you an insight of how they'd look on your wall at home. As you fall in love with your images, you can pick out all of your favourites to tell your story the way it should be told. Bring plenty of hankies! Stage 4 - Completing Your Story! You are unique and here at the picturebook studio we want everyone to know just how unique you are. That’s why creating your story lies not only in the way our photographers tell it, but the way our designers let you display it. You'll find a wide range of bespoke product designs, each one giving your story the ending it deserves. We only manufacture Art Gallery Quality Products with ranges such as Framed Prints, Canvas Mounts, Acrylic Mounts, Floating Mounts, Aluminium Mounts, Ice Blocks, Box Mounts, Multi Aperture Frames, CD Clocks, Coffee Table Books or even Wall Paper!